Katie is a Social Media Supervisor within Customer Experience and Insights at McDonald’s USA. She currently heads up customer engagement on Twitter and handles social media analysis for a few of the larger marketing promotions. She recently completed her Masters in New Media Studies from DePaul University. Today she’s sharing how the McDonald’s team uses Sprout Social’s social media management software to connect with customers. So there is the good news and the bad news, but I’ll start with the bad: mistakes happen. They’re bound to when you operate over 14,000 locations and serve millions of people a day. The good news is that if you experience an issue where something about your visit wasn’t so right, the McDonald’s customer experience team is listening and able to help. I think any company that has a digital presence also has a responsibility to address the problems. We believe that the customer runs social media in our business and we truly have the privilege of being where are customers are in the social channels. We use Sprout Social to help us identify customers needing assistance, and also improve the workflow within a cross functional team. Monitoring the replies coming into @McDonalds is a priority for all our team members. Specifically from a customer experience standpoint, it’s where we find a lot of those customers needing assistance. As you can imagine the @replies can come at us pretty fast, and with other full-time jobs, it’s hard to always catch everything. Here’s how we do it. This is where the smart search in the discovery tab fit in. We looked at the keywords customers were using to describe problems in our traditional channels like phone and email, plugging those words into individual searches, and then monitoring to see if the content was relevant. From there, we could tweak and add in language that our Twitter customers were using. We also took advantage of the emoticon sad face as we noticed it was used a lot. After finding posts for response, we engage one on one. We’re letting customers know not only are we listening, but are here and empowered to make it right. In cases of cold fries or a wrong burger, we can send a custom Twitter card that says “you tweeted, we listened” along with a “be our guest card” for the next item on us. On top of customers appreciating the help, they also use us a future resource, as 36% of the people who tweet us are returning contacts and 64% are new contacts. Although a good portion of the people tweeting us after a conversation are letting us know they got our card and thanking us. I have kept up with a few of my favorite tweeters over the years actually! I once got postcards from the different countries that one of my followers was visiting on a trip. He wrote me to let me know the differences in sandwiches he could get at the local golden arches. Overall we have built our engagement strategy with the customer in mind. 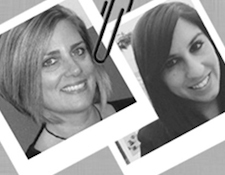 We are real people working behind a brand and take that approach when talking to our customers. Through our efforts we hope to grow our fans and continue on a path to highly satisfied customers. Thanks to Katie for the look at how her brand and organization connect with customers around the United States. If you’re interested in more of her insights, you can follow her on Twitter at @Kty_McD. 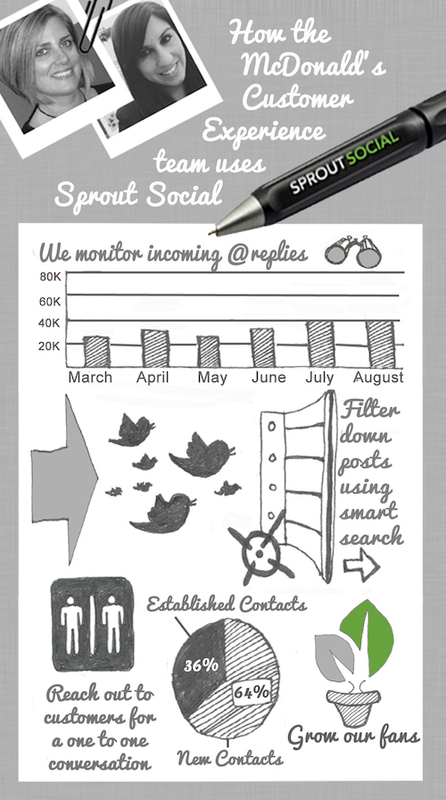 If you haven’t tried Sprout Social for yourself, we offer a free trial. Give it a spin and let us know what you and your team think of it!